The 2018 fantasy football season is over. 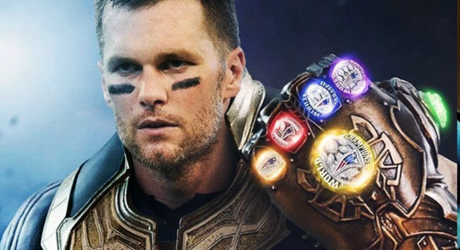 Tom Brady has claimed Rams Head Coach Sean McVay’s soul stone to complete his infinity gauntlet, winning his sixth Super Bowl of his career after beating the Rams in a low scoring snoozefest 13-3. Before you go and start throwing out feelers among your peers for interest in an AAF League to get your fantasy fix, let’s not forget what’s ahead….The Dynasty Offseason! Let the wheeling and dealing begin! Below I go over a few Buy/Sell Dynasty Football targets from each position you should trade before the start of NFL free agency. Let’s start! Dak came into the league in 2016 and produced a top 6 finish among QB’S. Through the next two years, he added two more top 10 finishes, giving him an average QB finish of 8.6 for his career. Yet, most Dynasty Rankings have him just around 15 or even closer to 20 in some cases. Amari Cooper took Dak’s production to new levels once he was acquired from the Raiders and a full off-season should only improve their chemistry. Scott Linehan was thankfully handed his walking papers in the hopes that the green Kellen Moore can be a little more creative. 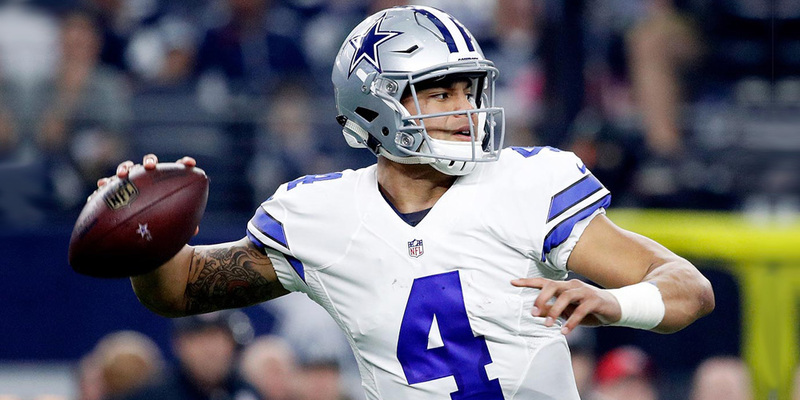 With the Cowboys defense being a pleasant surprise this season, Jerry Jones primary focus should be on getting Dak as many playmakers as possible whether through the draft *cough Noah Fant cough* or Free Agency. Overlooked and with a relatively low price, Dak is a prime buy candidate at the Quarterback position. No Kareem Hunt, no problem. At least it seemed that way once Damien Williams took over as the featured back in Kansas City. He showcased three-down ability that led to him finishing as the RB5 through Weeks 13-17. The fantasy community seems a little divided on Damien’s Dynasty outlook, but I for one am sold. If Pittsburgh showed us anything, it’s that in the right scheme, you can succeed at the running back position without having to spend ridiculous amounts of money or draft capital. I think the Chiefs will add some running back depth during the off-season, but it won’t be a big money signing or an early round pick. Damien Williams should enter camp with the first crack at the job and given his success, I think he runs away with it. Call me crazy, but depending how desperate you are at the Running Back position, I’m fine with trading as high as a 1.11 and on for his services. Deeper Target: Kenyan Drake’s lack of usage was well documented this year as Miami opted to roll with the ageless Frank Gore for a majority of early downs. But after a bit of research, to my surprise, Drake still managed to finish as the RB14 on the year. With a new coaching staff in town, I’m looking to get Drake on my team where I can. Talented Quarterback? Check. Contract extension that ties him to that talented Quarterback for a few years? Check. Lead role? Check. At just 26 years old, Lockett has all the boxes checked to be a successful receiver for your fantasy team. Baldwin is trending downward, and I fully expect Lockett to be the de facto number one going into 2019. 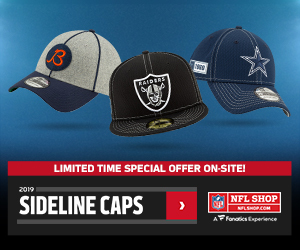 Coming off a career year where he was 30 yards shy of a 1,000-yard season and accrued double digits touchdowns, the arrow is only pointing up for him to progress even further in 2019. 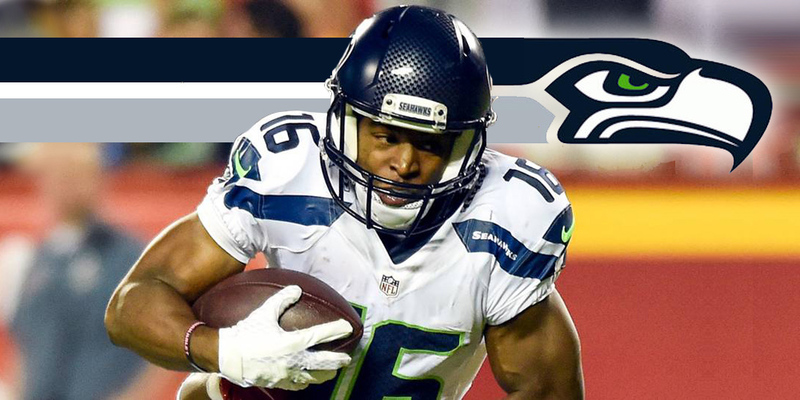 Lockett worked hard to improve his game from all aspects, and it showed. In terms of hands, he improved his catch rate from 63.4% in 2017 to 81.4% in 2018. His improved route running led to a career-high 16.9 yards per reception, a full 4.5-yard improvement off his 2017 total. Grab Seattle’s lead receiver before the hyped up training camp reports come out and raise his price significantly. Deeper Target: Larry Legend has returned for another year, but the torch will be passed to Christian Kirk for the 2019 season. With a young, creative offensive mind now at the helm, Kirk is one of my prime breakout candidates for 2019 and beyond. Travis Kelce? This guy can’t be serious. No owner in his right mind will trade Kelce. Well, let me try and convince you as to why you should change your close-minded stance and try to acquire this league winning gem. The value of an elite Tight End cannot be stressed enough. Tight End is the scarcest position in all of fantasy. To give you an idea I’m going to provide you with a set of four numbers: 90-56-10-101. Those numbers are the fantasy point differences between the number one and number five ranked players of each position. QB-90, RB-56, WR-10, and TE-101. Through the years, the Quarterback point difference was never that skewed, but Mahomes is superhuman which is why you have a larger than normal differential between the QB’S. Kelce was the TE1, finishing with 294 fantasy points. For even more perspective, the TE8 Trey Burton finished with 147 points. That’s about a 150 point swing between just seven spots, which just so happens to be higher than the amount of fantasy points Burton scored! Being able to lock up that much of a point swing at one position from the rest of your league is priceless. Tied to Mahomes for the rest of his career and still producing at elite levels, I’d consider breaking the bank for a guy like Kelce, who has true league winning potential. Deeper Target: Rookie Tight Ends rarely produce their first or even second year in the league. So don’t be discouraged by Ian Thomas’s rookie numbers. Greg Olsen has one year left tops, and that’s if he doesn’t retire this year (He should). That would vault Thomas into the starting position on a team that historically utilizes their Tight Ends. So go ahead and grab this future stud while he’s cheap. 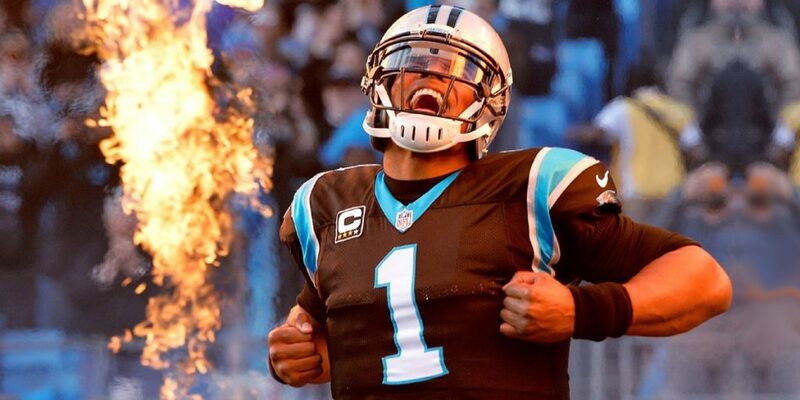 I would hate to say I’m selling Cam, but after looking through the Quarterbacks, I’m going to go ahead and say it. The years of tough running are starting to exact their toll on Cam’s body. He was not healthy towards the end of the year and continued to be trotted out there anyway until it was actually unbearable to watch. Cam’s true value is found with his rushing upside, and that could be scaled back moving forward in an attempt to prolong his career. I foresee a downward trend in his production starting as early as next year. By no means am I saying he is a MUST sell, but if you have an interested league mate, I wouldn’t hesitate to engage in talks to ship him off. 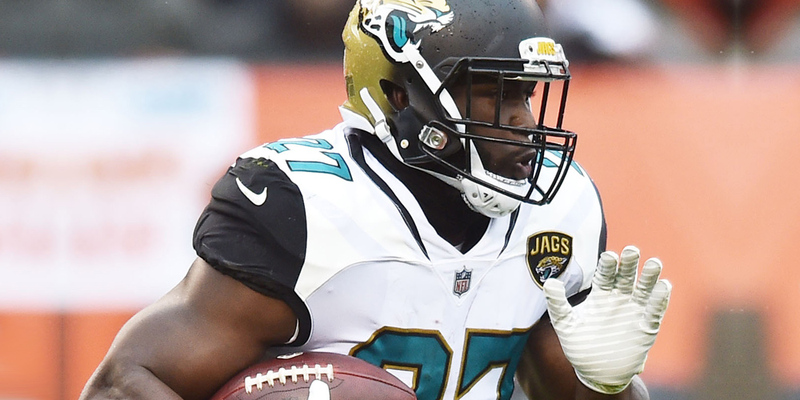 Believe it or not, there are people who still value Fournette as a top 8 running back. In the words of Craig Robinson from Hottub Time Machine, “I seen’t it!” I’ve seen people with this take on Twitter that are still Fournette believers. Those are the people you sell Fournette to if they are in your league. Fournette is obviously injury prone, with a knack for making stupid decisions both on and off the field. In addition to the above-mentioned concerns, he averaged a paltry 3.3 YPC and finished as the RB40 on the year. As your most likely RB1, he is too volatile for my liking. I believe the Jags will scale back his workload moving forward and go with him as the leader of a committee as opposed to being the lone workhorse. I would throw him on the block and see what offers you get. AJ Green has long been a fantasy football stud. But through the past three years, he has finished no higher than WR10, mainly in part to playing only 35 of 48 possible games. You can’t produce if you can’t stay on the field. Green will be 31 years old once the 2019 season begins, giving him maybe 3-4 more years of quality production at best. Remember the stat I used for Travis Kelce highlighting the insane benefit of having an elite Tight End? Wide Receiver is the complete opposite. There are a plethora of options available at Wide Receiver that are already in the league. In addition to that, this year’s talented rookie class will allow you to grab value at any spot in the first round of your rookie draft whether it’s at 1.01 or 1.12. Move through the past and look towards the present and future when it comes to AJ Green. If you’re not in win now mode, trade AJ to someone who is and let them take the gamble that he stays healthy and produces while you can go ahead and set yourself up for the future. The oft-injured Jordan Reed stayed relatively healthy for his terms this year. I can guarantee that will not continue. You may never get another chance at selling Reed with any ounce of value if you don’t do it soon. He still missed games, just not as much as we are accustomed to. The Redskins have a huge question mark at Quarterback moving forward with Alex Smith looking doubtful for 2019. While he was healthy from weeks 1-14, he was the TE9. You can use that as one of your selling points. He could be a potentially convincing sweetener piece to a Tight End needy team in a bigger deal involving a more prominent player. looking forward to your next article ! !